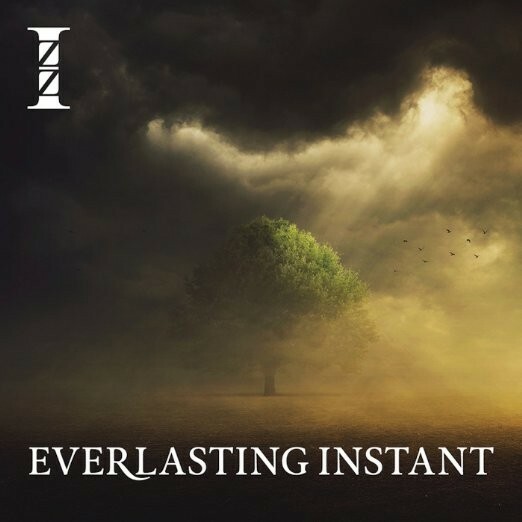 This is the sixth full-length studio album from U.S.-based Prog band Izz but it's apparently also the last in a three-part series which began with 'The Darkened Room' in 2009 and continued with 'Crush of Night' three years later. According to Tom Galgano (keys, vocals, producer, engineer) many of the melodies, rhythms and lyrics on this album began as seeds on the previous two. With this album there is a slight shift in the band's sound; hitherto they've had what I think of as the American Prog traits of staccato riffs and sharp changes in themes, here the feel is of the smoother European style. Also, the female vocals of Anmarie Byrnes and Laura Meade are more prominent rather than just providing backing vocals. Byrnes takes the lead on 'Like A Straight Line', which concludes the album in joyous style, and Meade on 'If It's True'. A comparison would be the early albums of Glass Hammer, although Izz produce more additive melodies. One notable factor is that most of the tracks are reasonably lengthy which allows the band to explore various directions and themes but never do they overstay their welcome or become tiresome. 'Own The Mystery' opens with electric piano and voice before drums and a lovely flute join in. The vocal arrangement is terrific with the female voice adding depth to the male one on certain lines. Part way through the track bursts into life with a fine guitar solo. The song's final instrumental flurry has a Spock's Beard feel to it. 'Every Minute' is a short instrumental piece with synths to the fore while 'Start Again' opens with a bass and drum refrain which is joined by a chiming guitar riff and then a solo. The initial male vocal reminds me of Dream Theater but again the use of the female vocal to take on the persona of a second character sets it apart. The guitar work is a delight throughout as is the retro synth solo. '...True' is piano-based but with lovely accentuations from various instruments; it has a smooth Jazz-tinge and a memorable chorus. 'The Three Seers' is also led by a fine piano theme putting me in mind of the band Venice until the latter part when Keith Emerson-like piano virtuosity comes in to play. The title track has a haunting double female vocal intro before a big riff charges into the picture. 'Can't Feel the Earth, Part IV' continues a theme established on the previous album while 'Illuminata' is another song that moves through various phases. Galgano's vocals are a little exposed on 'Sincerest Life' but the quality of the song wins through.